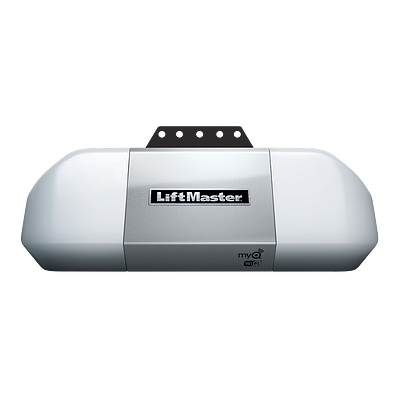 Premium Series 1/2 HP AC belt drive garage door opener - smart, quiet and energy efficient. Built in WI-FI allows you to use MyQ technology to securely monitor and control your garage door opener with your smartphone, tablet or computer. Motor Vibration Isolation System provides super quiet smooth operator year after year. With every click a new code is sent to the garage door opener so that the door opens only for you.